Today I welcome Lydia Dare to my blog. The authors of A certain Wolfish Charm, Tall Dark and Wolfish and in June: The Wolf Next door. Be free to ask questions, and enter the contest at the bottom of this blog. Where you can win Tall, Dark and Wolfish. It becomes apparent when you sit down to create a new world that you also have to create characters to fill that world. In our series, creating the gentlemen Lycans was easy. They were charming alpha-rakes who became wolves at “that time of the month.” In the days leading up to the moonful, they get a little lusty, not to mention a little more surly. But, aside from that, they’re fairly average men with the same wants and desires as the normal Regency rake. In Tall, Dark and Wolfish, we wondered what might happen if a Lycan couldn’t change into Lycan form with the coming of the moonful. It would certainly be like losing a part of his being, particularly with Benjamin. He liked being a Lycan and reveled in the moonful each month. So, when it came time to change and he didn’t, he was heartbroken. There were no apothecaries or physicians in Regency England who could heal his wolfish self, not to mention protect the side of himself that he has kept a secret for so long, so the idea of a healer was born. And what better healer could there be than the fiery red-head, Elspeth Campbell. Of course, Ben is not at all aware he’s going to find the woman of his dreams; he simply thinks he’s looking for an old crone who can heal what ails him. That’s how the coven was born. Còig is a Scots Gaelic word that means “five.” Of course having one solitary witch who could restore Benjamin to himself would be much more fun if there were more waiting in the shadows to get in the way of his budding relationship with Elspeth. Give them each their own powers and it became even more interesting. Each witch has her own special powers, as did their mothers before them. Elspeth can heal with the tips of her fingers, or her heart as the case may be. Caitrin can see the future, even though it may be difficult for her at times. Blaire is super strong and can make sparks fly from her fingertips. Rhiannon controls the weather, or at least her emotions do. And Sorcha can ask plants to do her bidding; they might bud, wither and die or stretch across the ground to entangle an overly-amorous Lycan. Of course, once a character walks into a novel, readers (and the authors) tend to fall in love with them and want to see more of them. So, when the witches walked into Tall, Dark and Wolfish, we knew they each needed their own story, mainly because it would be such a waste to not use all those spectacular talents to create future mayhem. The members of the Còig came from our imaginations, but there is a bit of truth to the potions and plants they use to accomplish their goals. Not much truth, we admit, but there’s a bit. Eggs and blueberries are reported to be led by the moon, but we did take some creative liberty with them when Elspeth uses them in Tall, Dark and Wolfish. And, yes, we took liberties with other witchy characteristics as well. That’s the beauty of making up your own world – you get to populate it as well. We hope you enjoy the antics of the Còig and that you want to read their stories, which will be out by the spring of 2011. In Lydia Dare’s debut trilogy, Regency England has gone to the wolves! Lydia Dare is the writing team of Tammy Falkner and Jodie Pearson. 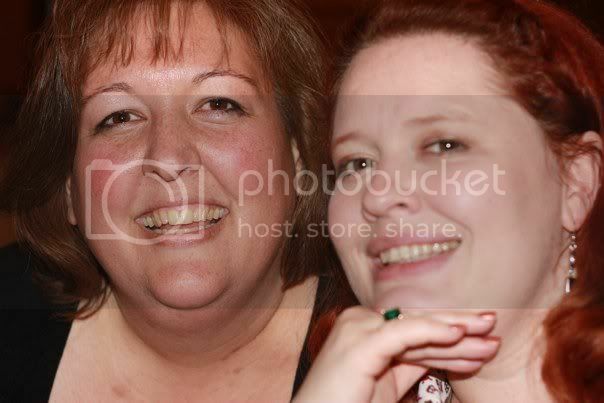 Both Tammy and Jodie are active members of the Heart of Carolina Romance Writers and live near Raleigh, North Carolina. They are working together on their next paranormal historical trilogy as Lydia Dare, which will be released by Sourcebooks Casablanca in Spring 2011! For more information, please visit http://www.lydiadare.com/. I'm not entering, but I'll mention this Friday! Hey Blodeuedd!!! Great guestblog you have here. I have been seeing this book pop up around the blogs and it looks very interesting!! Thanks for showcasing a new to me author hon!!! This sounds great, I'd love to enter...I'm also now following your blog...I'm glad I found it. Great interview! I would love to be entered in the giveaway. This book looks fabulous! Thanks for the giveaway, I would love to enter. Please enter me as well. This sounds like a good read to get me back into historical type reads. I think this one could do the trick. There is nothing like some good were loving ;) in a regency time. Not to forget the witches. That is truly a great aspect, I was so happy to hear it too. Cos those ladies were fun. They were fun, I sure got mad at them too, but overall they were lovely. No need to enter me as I already own this book and am counting the days until book 3 comes out! Just wanted to say I love this series! Just kidding... Don't mean to make you feel bad, Blodeuedd. You know me. Blodeuedd ~ You don't think most people take pictures of their multiple personalities? ;) We do need to take a new picture of both of us, though. That one's a little old and we're both so much cuter now. Sassy Brit ~ That's a great question. We do world build, and I think since there are two of us - if one of us starts to over do it, the other one reigns her back in. That's one of the benefits of having two minds with something like this. I have been wondering now since I heard about the coming books. Are all the witches getting a book each or? Each witch will get a book, but they aren't being marketed as "witch" books. There is another Wolf book out in November that stars one of the witches. And there are three vampyre books out next spring that feature the other three witches. I'm not sure how much more I want to give away. But if/when you read THE WOLF NEXT DOOR, the hero/heroine of the 4th book become apparent. That was a ton of fun to write! It does sound like a great read. It really sounds like an interesting story. I like the star illustration with their powers clearly shown. Please count me in as well! I'm just reading the first one now and quite enjoying it. No need to enter me though, as I also have Tall Dark and Wolfish. Thanks for sharing. It sounds like a great new series. I am looking forward to starting it. Love the diagram -- it really helps! Great guest post! Ooh Ooh I want this book BAD! Please count me in for the bodacious giveaway! Thanks for answering my question, Lydia. Have fun world building! I enjoyed reading the post; I learn something new every day. I look forward in reading this and your other works. No need to enter me. Just wanted to say that this post makes me want to check out the book. I don't normally go for wolfish books, but you have convinced me to try this one.